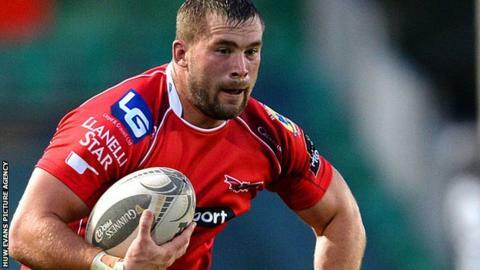 Scarlets number eight Morgan Allen has had surgery on a ruptured bicep and is not expected to play again for the next four months. The 25-year-old sustained the injury in training in the week leading up to last weekend's opening Pro12 match of the season against Glasgow Warriors. Allen joined Scarlets over the summer having made 53 appearances for Ospreys. Scrum-half Rhodri Williams will miss Saturday's home game with Ulster after suffering a head blow in Glasgow. Scarlets are also waiting to discover the extent of the ankle injury that forward Jack Payne suffered while playing for Llanelli in the Welsh Premiership on Saturday.